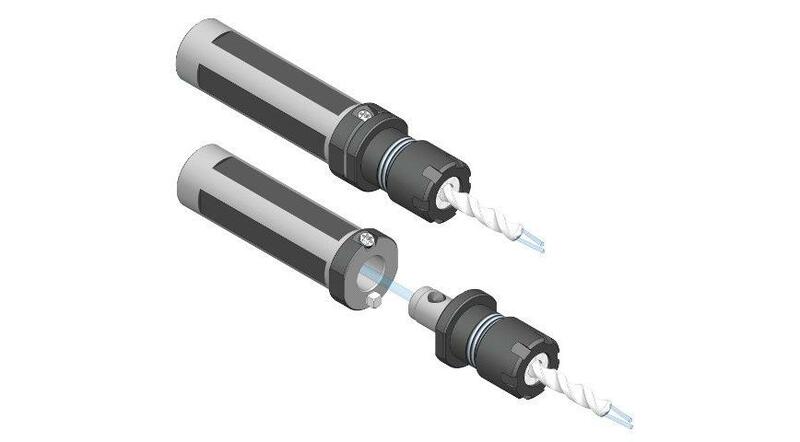 Quick change with cylindrical shaft for ER-Collets. Available for ER16 collets. - Ultra precise fitting of the interchangeable head. Rigid fixation.